The McClellan Park TMA provides an emergency ride home for employees who commute to McClellan Park by carpool, vanpool, public transportation, bicycle or other alternative commute mode. 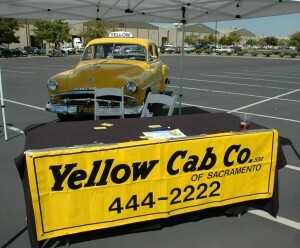 Contact Sacramento Yellow Cab (916-444-2222) if you live less than 20 miles. This program includes one interim stop at a day-care center or school, if needed to pick up children. Contact Enterprise Rent-a-Car (916-349-8100) if you live more than 20 miles. Enterprise will provide pick-up and delivery service, a car and up to 200 miles of travel. The car must be returned within 24 hours with fuel at the same level as when you rented the car. You may be required to provide a credit card to secure this service. Vehicle must be reserved by 5:30 pm.